ACHAEMENID EMPIRE. Ca. 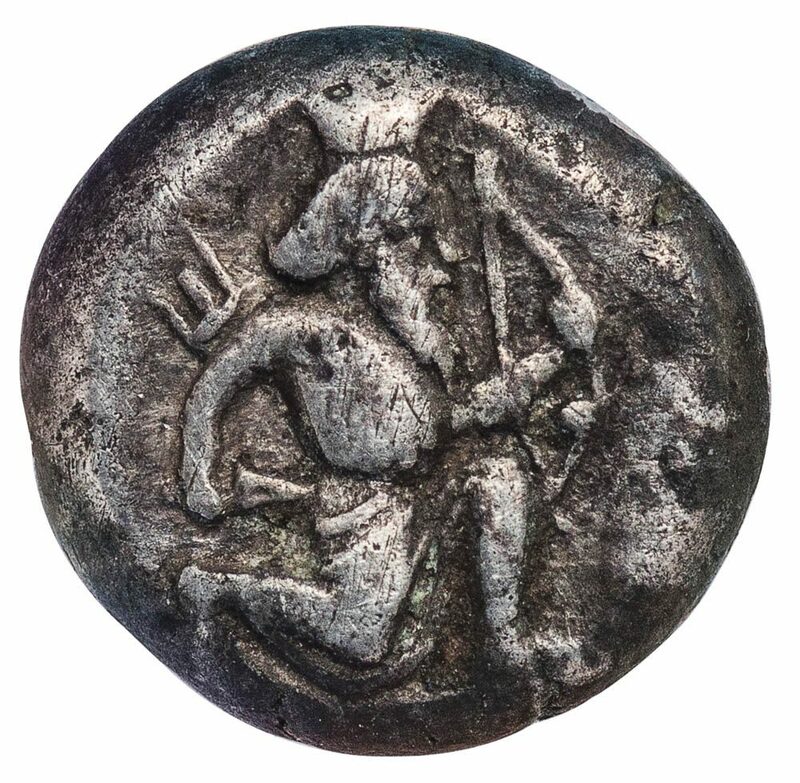 400-340 BC. 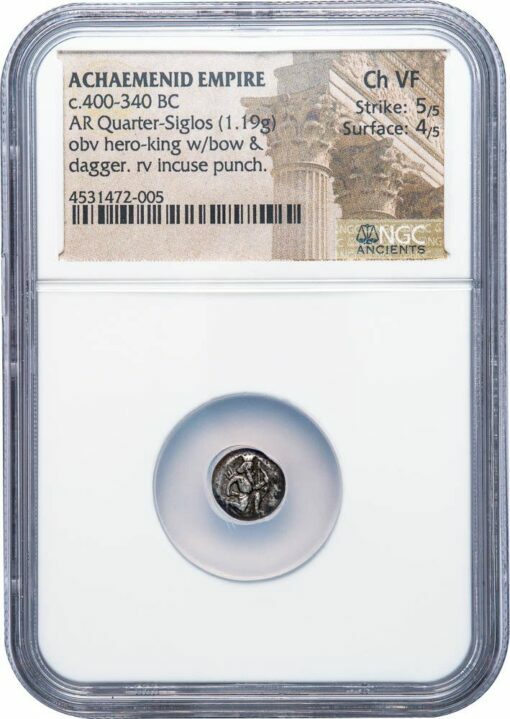 Silver Quarter siglos, 1.19 g., 9 mm. Obv. King holding dagger and bow, running right. 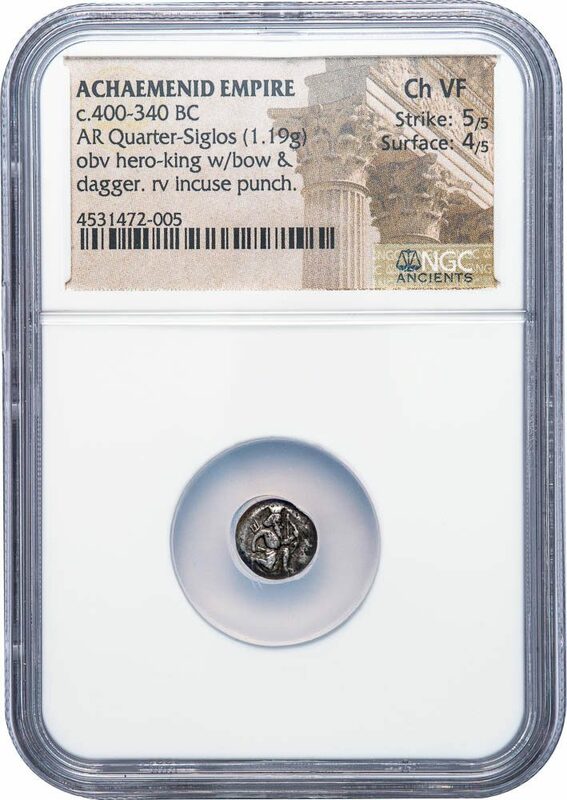 NGC graded CHOICE VF, Strike 5/5, Surface 4/5, exceptional centering that allows for the entire figure of the king, including the crown, to be struck on planchet.